The day the Capitals moved to the Verizon Center (then known as the MCI Center) on December 2, 1997, was a day many longtime fans of the franchise found difficult to fathom. 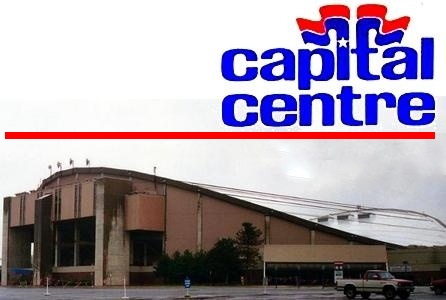 The team’s longtime home, the Capital Centre, had been standing since 1973; the only home the Caps had known. The Capital Centre (Cap Centre) was officially closed in 1999 and demolished on December 15, 2002. Located in Landover, Maryland, the 18,130-seat arena was the home of the Capitals and Washington Bullets (later renamed the Wizards) for over 20 years. The very first goal in the building was scored by former Captain Yvon Labre and the last goal was scored by Marl Tinordi. While Caps fans enjoy going to the Verizon Center now, the adjustment to a new arena was harder for many of the Caps faithful. According to longtime fan Ronald Bove: “It was a special place. Especially with the wavy roof.” Added his son Ron: “It was really hard, and I hated to see it close because it was where I attended my first Caps game in ’74-75”. The arena’s impact felt by season-ticket holder Aurena Raines, as well: “I liked the player access at the Capital Centre. When they moved to the Verizon Center, it would all change. But the Capital Centre is where I fell in love with the sport”, said Raines. The Capital Centre was also unique in that it was the first arena to have an instant replay projector on its center-hanging scoreboard. It also was the first to boast luxury suites and turnstiles. There were other unique features that the popular arena possessed, including seat quality determined by color (red seats were the cheaper seats above ground level, while blue were the more lucrative, closer to the action). The seats weren’t tiered like many other arenas. Instead, the floor plan was basically in the ground. Unlike the Verizon Center’s press boxes, the TV and radio crews were located sporadically throughout the stands. 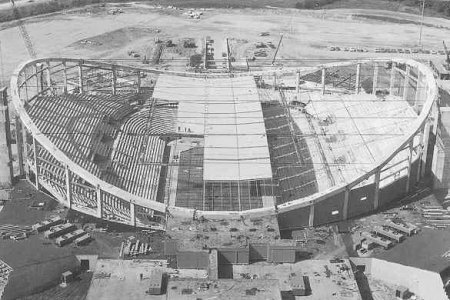 The roof had a saddle-like, potato chip shape much like Calgary’s Saddledome, and the interior was mostly black in color. A former arena employee, Ed Frankovic, told DC.sbnation.com that the popular “Rock the Red” concept would be virtually impossible: “The biggest problem was it was just so dark there. The Verizon Center is much brighter”. So instead of “Rock the Red”, the Caps would deploy “whiteouts” during playoff games to brighten the arena up. With so many years comes many memories: the 1982 NHL All-star Game, the Patrick Division champs in 1990, and many more. But perhaps the two biggest moments were Dale Hunter’s Game 7 overtime game-winning goal vs the Philadelphia Flyers in 1988, and the 1987 “Easter Epic” game, which went well into the early morning hours until a Pat LaFontaine goal beat Caps netminder Bob Mason to give the New York Islanders the win. 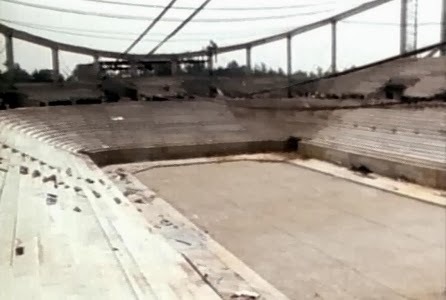 But the arena also had its downsides, including leaky roofs, the previously-mentioned dark atmosphere, bad traffic, and general outdatedness. 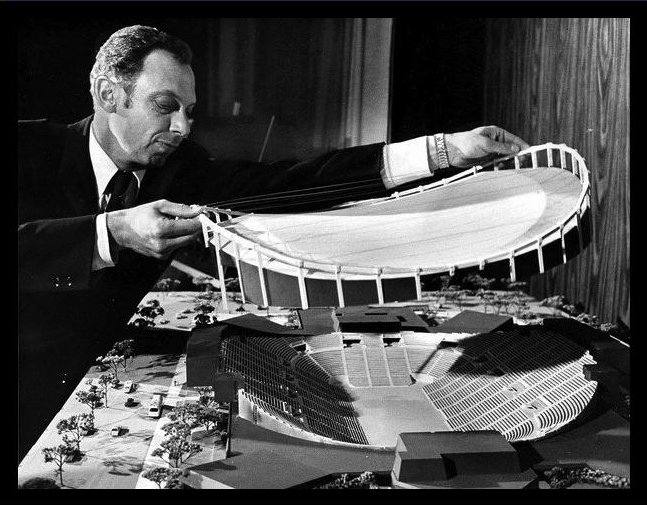 While then-owner Abe Pollin relished the opportunity to move downtown, longtime Capitals radio broadcaster Ron Weber was saddened, stating that he once cried when he saw a “half torn down arena” across the Beltway. The impact the Capital Centre had on many was clearly resonated in people such as the fans, Weber, and building employees. 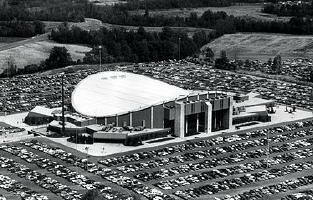 The arena was demolished to make way for The Boulevard at Capital Centre shopping mall, which still stands today. But no one could argue that the move to Chinatown was beneficial to the franchise, especially considering the easy accessibility, surrounding restaurants and shops, and more parking locations. The team also has had far more sell-outs and reached the first (and to date only) Stanley Cup Finals in their debut season there. While the physical building may be gone, the memories remain. From Hunter’s overtime goal to the All-star game, some of the most-unforgettable moments in franchise history happened in its hallowed darkness. Rod Lamgway’s familiar No. 5 was raised to the rafters before the final game at the arena. The Capitals have plenty of memories that will carry on through the rest of the organization’s existence and even after 18 years since the last game, for many fans, the good times will never be forgotten. It is a piece of Caps history that will forever be cherished. This entry was posted in History, Verizon Center and tagged Capital Centre, Michael Fleetwood. Bookmark the permalink. God, so many memories. First concert, first Caps game, etc. Mrs. Raines was my middle school math teacher. She used to bring in tapes of hockey highlights for me to watch. She always had a pic of Peter Bomdra on her board. The Caps teams in the 80’s were really good with 4 Hall Of Famers (Gartner, Langway, Stevens, and Murphy) but never had the quality goaltender to be successful in the post season. 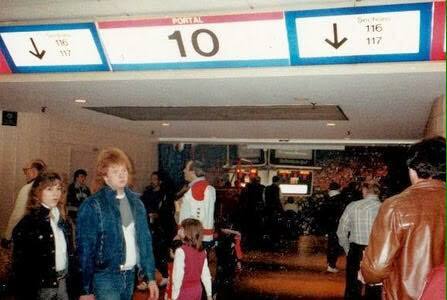 The Cap Centre was quirky but we had great seats 20 rows from the ice and they were affordable, unlike today. Our Season ticket group was Maryland based so when the team moved, they all stayed home. We moved out to Warrenton VA and wouldn’t see a Caps game in MCI/Verizon until 2005. I was one of the very lucky people who actually worked for the Capitals from the very beginning of the franchise. What a wonderful job, with free tix to virtually EVERYTHING…hockey (my fav of course), concerts, basketball, circus, boxing, etc. I have my personally autographed photo of Muhammad Ali hanging over my desk as I’m writing this! It was a great time in my life and one of the best jobs I could EVER hope for!!! I’m actually still friends with Blair Stewart who now is a Harley guy living in Texas with a very cute girlfriend (just what you would expect, right?). Sandi, Carol, and I still meet at least once a year in Fredericksburg to reminisce about the great times we had working at Capital Centre. Sandi, thanks so much for posting this…brings back so many memories.